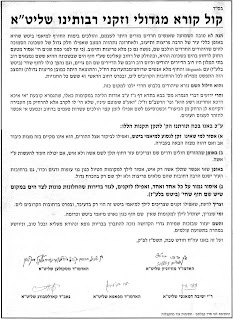 The statement was first made by Reb Foleh Kahan soon after the CI's passing, and word soon got out about his statement. Let's listen and be objective about the reasoning behind the Vort. It was also on Purim, כטוב לב המלך ביין. 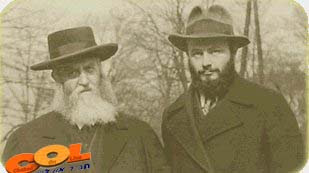 Foleh Kahan (Refoel Nachman) was Reb Yoel Kahan's father. He was imprisoned in Soviet Gulags for spreading Yiddishkeit in the Soviet Union, and was allowed to leave for Eretz Yisroel in 1935. He made the statement at a Farbrengen in honor of Yud Shvat in 5716, and the letters of condemnation soon started streaming to the Rebbe. The Rebbe responded the next Purim, with the greatest respect for the CI, but seemingly agreeing with RNK's statement, at least on Purim. Let's listen. I tried uploading it with the little media player, just like I did with the Mayanot debate, but the playback speed was way too fast. So we'll need to click on the above link and listen in the media player provided on that page. See it in print starting from Oys Lamed Ches. Funny how a "regular Joe who learned in Telshe Chicago" would buck Charedi wisdom (and mine) and take the tour of the temple mount. Then again, according to his profile he's got Smichah from Reb Zalman Nechemia Goldberg, son in law of Reb Shlomo Zalman Auerbach z"l. It doesn't get any more Charedi than that. Now he thinks they colored the Rebbe's suit in the FR's citizenship film to make it look like it was blue, not gray. He also thinks they dyed the beard, since the Rebbe was almost 50 and surely had some white hair in his beard. And he calls me paranoid. He also has a Kashe on the FR (Kevayochel) based on a BeFeirushe TNLR in Italy. All in all a must read. 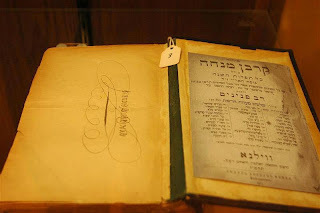 And other interesting and historical artifacts pertaining to the Rabbeyim and Chabad history now on display at the Aguc"h library in Crown Heights. According to this story in YeshivaWorldNews, Rabbi Mordy Neustadt announced at the dinner of the non-existant Va'ad L'Hatzolas Nidchei Yisroel (sorry guys, my opinion stands) that they're about to launch a new and exciting project; the translation of the Shas into Russian by Artscroll! I'm not quite sure how much of a market there'll be, but that's what they announced. Personally I think Spanish and French should come first, but then again, I'm just a Chabadsker Zhlob, and what do I know. What remains to be seen is how much will be lifted from the Steinsaltz Russian, and who will actually work on it, it won't be an easy task finding a team for the Russian. A commenter there (at YeshivaWorld) said they're looking for sponsors, since AS does nothing before it's paid in full, and on top of that they'll charge you Forty bucks. My advice to you, Mr. Levaiev, is to seize this opportunity and put your name on it, whatever the cost may be. Let the Levaiev name be associated with a project such as this, and put the world on notice. You have convictions, and Lubavitch and the Rebbe is a major part of your life. Just as Schottenstein demanded certain things from Artscroll when he paid for that project, and just like he does when it come to Ohio State's stadium, you too should make certain demands of the suits at Artscroll/Mesorah/Shaar Press. 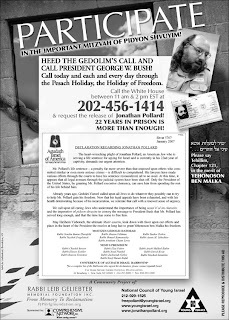 Demand that they include the Rebbe's works in their translations, and demand better treatment for Lubavitch and their institutions. I think that your money will speak loudly here, especially since you're from a former Soviet Republic, and your advice will be seen as that of an insider who knows what he's talking about. The good Rabbis at AS will quickly forget their earlier so-called "convictions" about Lubavitch and the Rebbe. Putting all of your money into the CIS (FSU, former Soviet Union) gets you little attention amongst the Frum world, this will be better, I guarantee it. It'll also increase the level of learning amongst the students in the Yeshivos you fund, that in turn will only help to increase the quality of students that are produced from those Yeshivos. All in all, a win-win proposition. Every group likes to show hoe somebody in the news has some sort of connection to them. Chabad is no different, and isn't when it concerns Rabbi Avrohom Blumenkrantz o"h. I guess the news must've reached Israel only after Shabbos, because tonight COL reported on his passing, and had some interesting pictures. Shmais, to their credit, had it on Thursady Night, and had the Chabad angle first, including the above photo. Some of the Chiddushim I read about Rabbi B was that he Talmid of the Lubavitcher Yeshivah in New York, and had a Kesher with the Rebbe. He also was told by the Rebbe once on Chanukah while receiving Chanukah Gelt to learn Likkutei Torah when others were instructed to learn Tanya. (I'm not quite sure what that means exactly, but that was a comment on COL's story.) He also invited the Shliach in Far Rockawaty to come give a shiur Tanya in his shul. Obviously for a partisan "hack" like myself these anectodes about Rabbi B only increase in my admiration for him, although seeing Shaitel ads with his Hechsher on them always rubbed me the wrong way. While on the subject of Rabbi B: After telling an acquaintance of mine on Friday morning that Rabbi B had passed away, he asked me "who's gonna print the book on Hilchos Pesach this year"? to which I responded that the book is surely ready for this year. His response was the following story: In his Yeshivah the cook passed away on Erev Shabbos. That Shabbos the boys in Yeshivah ate the food that he had prepared, and the Rosh Yeshivah told the Bocherim that the Nifter has a Z'chus that the Talmidei HaYeshivah are eating his Macholei Shabbos. 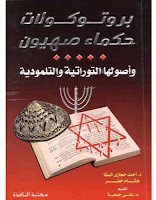 So too Rabbi B, Klal Yisroel is using his book after he paassed away, and that Zchus zol em Bayshtein! What we have here for your listening pleasure is two parts of audio of a debate (for lack of a better term) between Rabbi Immanuel Schochet of Toronto and a Rabbi at Or Someach in Yerushalayim. His name is not mentioned as far as I remember. The student was seemingly perplexed, and at a crossroads in life, not knowing whether to go learn in Maayanot Yeshiva or go to back home to the States (or was it Canada?) He was told by his Rabbeyim at OS not to join Chabad because they're basically not accepted by the Torah World. (He includes Breslov in that category.) The student lists all the Taynes that his Rabbi had against Lubavitch and the Rebbe. Well worth a listen. Part I needs to be listened to with the volume turned up, Part II is much better. It seems like the tape ends just as they were getting into it, which seemingly is always the case, I guess the guy didn't bring enough tape with him. Rabbi Shochet seems to be the right guy for this task, owing to his Litvishe Heritage - He Shtams from Telz - and his relationship with many, many of the Litvishe Rabbonim and Roshei Yeshivah of today and yesteryear, including many of the supposed anti-Chabad. Let me know what you think. Thanks to Akiva of Mystical Paths for helping me out with the uploading. Issac Balbin mentioned the story of the Holy Belzer Rov's Droshoh in Budapest the night before he fled to then Palestine. It has been written about in the Israeli papers, negatively of course, and was later refuted, or responded to, by Charedim in Israel. I never wanted to mention it since I knew what could arise from starting such a discussion, and I wanted no part of it. I do not like to bad mouth Tzaddikim, believe it or not, and I will not do it here either. However, now that it's been mentioned let's explore it. The common perception was that he basically said that the Hungarian Jews have nothing to fear, since there will be no holocaust in Hungary and Transylvania. Let's not forget that although Allies of the Germans, the Hungarian Government did not allow Hitler to deport his Jews, although forced labor was in full swing by 1940. So the Hungarian Jews lived in semi-bliss, thinking that here it will not happen, despite the rumblings that told them otherwise. When the Belzer Rov was about to leave for Palestine he spoke in a Budapest Shul. A few lines of that speech were omitted when printed later. Like the Nixon, LeHavdil, tapes that got people thinking, and they said that what was omitted were those words where he "promised" them that no harm would befall them. We all know what actually happened. Now if you're a supposedly "objective" guy, not one who drinks the proverbial "Kool Aid," you would think that they backtracked and rewrote his speech upon seeing what actually happened, no? That he cut and run when he learned that he had to get out of Hungary immediately? Chas VeSholom to say that, and if you do you're an Apikores! Would any G-d fearing Jew think that the Belzer Rov would make a promise that would be kept? Would they think that he knew better but did not care as long as he got out? Shomu Shomayim! not in his wildest dreams. Nor would he think that the Gerrer Rebbe, the Imrei Emes, didn't care about the untold thousands of Chassidim he left behind in Poland. Why not? because they know better than to say that about the giants of Yahadus Eyropa. Do they have proof for their assumption? Could it be they were wrong about them, and all they cared about was themselves? (Chas VeSholom) Well, my friends, people like that need to take a good, long, hard look at themselves and come clean. Because once we decide that certain people are guilty based on so-called evidence discovered decades later, then there's no stopping, and no differentiating between this one and that one. I have some interesting audio files, big ones, 60 plus MB each, That I'd like to upload. If any of you would be able to help with this monumental task, I'd be much obliged. I believe he was Rav Gifter's Melamed? Obviously that's not his claim to fame, but it does make for interesting conversation. 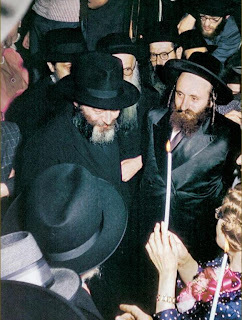 The Rebbe at a Chupah in the late 5710s. I'm not sure what his opinions were of Lubavitch later on in life, I'm sure he was Noyteh to Satmar somewhat. But I recently heard that the Rebbe paid for the Mikveh that he built, and that picture won't go away neither. No more bungalow colony or camps in the Catskills?! The panic is on amongst the Yeshivos, summer camps, and "askonim", they see it all crumbling before their eyes. Governor Spitzer has turned his back on the few Yiddelech who voted for him, and will allow the Indians from upstate to manage casinos in the "heilige country." Why is this so terrible, I ask? 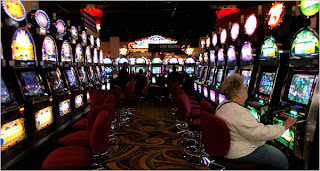 Will all action now move from Woodbourne to Monticello Raceway's slot machines? Will Main Street Woodbourne cease to exist? Will young Heimishe men now blow the rent and mortgage money playing poker and blackjack? I don't think so, and quite frankly, it's degrading to see all these proclamations that make it sound like everything that a young man learned in Yeshivos will go down the tubes once there's a silly slot machine within a few miles. Is all that education that worthless? Have we no inherent fear of G-d, and do we not know about right and wrong once the big temptation comes a bit closer? We all know that many in our communities frequent Atlantic City. I learned this years ago, first while going through people's books and bank statements in the course of work, and then again while spending summers in VERY Heimishe Bungalow colonies. Stories of young men doing "all-nighters" in AC every single week during the summer shook this young, naive goat to the core. I thought the worst thing a guy could do was watch a movie or something, and boy was I wrong. But then again, those guys don't need slot machines in Monticello, and they wouldn't go there anywhere. They need to have more action than that, and they don't want their nosy neighbors to see them there. So we really don't need to worry about them spending much time there. So who exactly WILL spend their time and money there? Is it all about the traffic now? Have we become so reactionary that we need to jump out of our seats like that before we even truly understand the consequences? "They said the same things about R. Simche Binem of Pshis'che, who also went into the secular world of Germany, in fact to very intersting places there. He knew a lot of languages, medicine etc. Un men hot ihm baredt azoi vie dem heiliken Libavitcher Rebben, until much later they caught on to his unbelievable avoidas hakoidesh in avoidas habirurim and kiruv rechoikim. So there's nothing new under the sun. The gadlus of certain kedoishey elyoin is far beyond the comprehension of little minds, with tzimtzum hamoichin, especially in the so-called "frime velt." Baal Shem Tov, Pshis'cher, Libavitcher - leis machshuve tfisse bohem klal uklal. 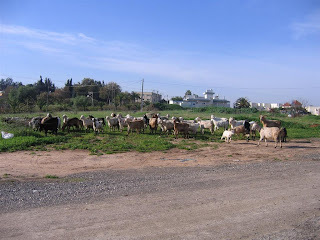 Let the dogs bark, as R. Akiva said to Rashbi: dayoch she'ani u'boracho yod'im koy'chacho!" The best words yet, and seemingly Davke Nisht fun a Lubavitcher! I'm supposed to believe that all that is for naught because he studied in University? And one of the Universities he says he studied in has no records of him? And he lived in a non-Jewish neighborhood and had Chinese neighbors? and because he had an hour's walk to shul on Shabbos? and because he had a younger brother-in-law without a beard, and because his older brother-in-law should've become Rebbe? and because his nephew didn't like him after being treated like a prince by his aunt and uncle? and because he had a different appproach on how to deal with irreligious people, and how to bring them back to the fold? And he had a somewhat different approach on how to deal with the Israeli Government and the policies it adhered to? And I'm supposed to believe this why? Because some people, obsessed with the quest to bring down Lubavitch for some reason, decided that creating a new image of the Rebbe would suit them better, and would make their job alot easier. That no matter the Rebbe's accomplishments he still needs to prove himself by passing some kind of test instituted by his detractors, which of course will never happen. And I'm the fool here? Read The Article here. Definitely not mainstream Yeshivish. 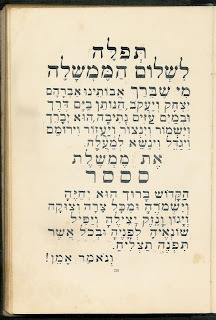 When writing of his talmidim who were later Marbitzei Torah on their own, he includes such notables as the Rosh Yeshivah of RIETS, Skokie and other non-black hat institutions of higher learning. A very impressive resume, indeed, had Reb Nota Hirsh. I just wonder if the fact that he was named Der Alter has anything to do with the legacy he left. Or is it the fact that he didn't sit in shul and learn on his own, but rather was proactive, and spread Torah to many cities. Chassidishe Rebbes have come out against any "young" person traveling to Miami Beach. They've also signed on all kinds of rules and regulations as to where you're allowed to visit in Miami, even if you're old. Places like the Boardwalk and the Zoo are off limits, as are condos facing the ocean. Read the Kol Koreh for the complete set of rules. North Miami Beach is permitted, according to the poster. The fact that every single flight to Miami and its environs is packed with seemingly G-d fearing Jews who supposedly respect and honor Rabbonim and Bnei Torah is somewhat puzzling to this blogger, but maybe you guys have an answer. Next we have an invitation to a Yarchei Kallah event organized by the Miami Beach Community Kolel, a satellite of the BMG at Lakewood. Some of the speakers there include a young Reb Malkiel Kotler, a few very young Avreichei HaKolel, a very young Rosh Hakolel, a very young Rosh HaMechinah Rav Zvi Eliyohu Meir Schmelcer, and presumably young people living in Miami Beach. There will shiurim for men and shiurim for women, and shiurim on all kinds of subjects. It seems to me that the Yarchei Kallah was made to coincide with the mass influx of Jews from New York coming to rest up in Miami Beach, otherwise why not make it in May or October? So not only are they not listening to the Vizhnitzer and Skulener Rebbes, they're encouraging people to come! So what's a guy like me to do; I'm nisht ahin and nisht aher, not a Skulener or Vizhnitzer, and not a "Ben Torah," what am I supposed to do, not go at all, or go and also go to the Yarchei Kallah. My travel agent is waiting for an answer. Sometimes people find old posts of mine by Googling words like "Rav Shach" and "Lubavitch." Here are 2 comments that were posted today by a very brave young man who's not afraid that people will see what pent-up rage he has, and was kind enough to give us his name, occupation, and city of residence. He seems to be on the Misnagdic fringe, the equivalent of a Lubavitcher Meshichist. I thank him for his comments, and was told by a Landsman of his that he's a "very nice guy." In both cases click on the link and scroll down to the end of the page for the last comment, it'll be worth the clicking and scrolling in both cases. I apologize to the Lubavitchers amongst us for printing such Apikorsus, but he shows us what we face daily. I thought had seen them all, but this is a beauty. A full length picture of an Amolige Rebbe like that is hard to come by. 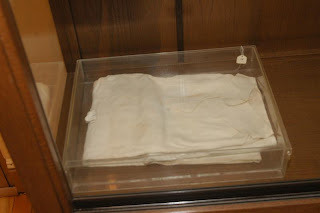 Visible are the Vaise Zoken and Fertel Shich that is spoken about in Darkei Chaim V'sholom. A true find. Must be clicked on to appreciate fully. Jews do put blood in their Matzos! 1) Did they like their books more than their devoted disciples? 2) Were their children and siblings as righteous as they claimed to be? 4) Were educators or disciples their first choice? 5) Did their sons-in-law all have beards? 6) Were their grandsons treated as they should have, royally? 7) Did any of their sons convert and they covered it up? 8) Did their disciples fight amongst themselves? 9) Were there other houses of Torah that we weren't taught about? The list goes on. Enquiring minds need to know this. Now excuse me while I have me some blood. Yum. Have a "Pasque di Sangue" everyone. This may come as a surprise to many of you, but it seems simple to me. The idea of setting aside time from your busy schedule to bring another Jew close to Hashem is a novel one, it's not something that comes naturally like other acts of Chesed. It was and always will be a difficult task for most people, since they've always been taught that these people are deliberately defying G-d and should be stoned. For generations we were taught that once a Yid leaves the fold he's to be shunned, and that was the case in Europe for the most part. Generations of Jews were allowed to wander from the path of Torah without much effort being made to persuade them to return. After all, Ossur Lehistakel BeFonov shel Rosho is not to be taken lightly! The idea of losing 2/3 or three quarters or more of Jews to the movements of the time and assimilation didn't seem to bother most people, they just left it up to G-d. The Holocaust, they say, took care of that problem; G-d just wiped out two thirds of the Jewish People and started over again! That may have been the Chassidic (Lubavitcher) approach at the time, I haven't figured it out yet, but it definitely was quick to rethink its attitude. As soon as it was realized that ignoring the inevitable was counterproductive the Rabbe'im changed their approach from Richuk to Kiruv. They delved into the Chassidishe Seforim and realized that the way to go is with Ahavas Yisroel, loving and cherishing every single Yid, because Klal Yisroel isn't whole without all of its members being whole. We cannot survive just on Talmidei Chachomim alone, we need them all. What his Zeides did, and how his family got to be Mechalilei Shabbos is now unimportant, we need to stop the flood of assimilation. They also realized that condemning the sinners, even the ones that know better, the ones that learned in Chadorim and Yeshivos and left Yiddishkeit, makes you look like an evil zealot and comes to no good. Let G-d deal with them after they pass on. When it comes to "Kiruv" institutions like Aish and Or Someach there's very little talk about the importance and precious character of a Yiddishe Neshomah, and how each one is part of the whole. Some, like Amnon Yitzchak, will try and frighten you into repenting, not unlike an Evangelical revival, lehavdil, and either frighten you into accepting Torah, or if you're in need of a ישועה, promise to help you if you cover your hair. (with a Tichel, of course, no sheitlech allowed.) Other groups like SEED rely heavily on people that some connection to Yiddishkeit, and especially in places where there already is a Chabad presence. Young girls and/or Bocherim come there for a summer "to make a difference," just like their counterparts go to visit old age homes. They'll learn a little Kuzari before they go so that they have an answer to a question posed by a non-frum Jew that they have no answer to because they (the frummie) never learned about what he needs to believe in to be a Jew. In other words it's another kind of Chesed, but little want to actually produce Yidden. For the most part you'll see not the full-fledged Yeshivishe types doing this work, but the more modern and educated ones, people who the Yeshivishe community would shun and not count as theirs. They can relate a bit to non-frum people because they actually speak the language, and may have a common interest or two. When it comes to credit then the Yeshivishers will be there, claiming all these projects and outreach as being from "our community," sort of like the Agudah claiming to represent every Orthodox Jew. So now all communities, the Young Israel, the OU, the Agudah can now claim to be doing G-d's work too, by laying claim to the Kiruv revolution. Of course Chabad doesn't do Kiruv, they just make Chabadskers. So back to my opening statement: We really don't do what others do, Chabad works to ignite Jewish souls, not to make careers Kiruv professionals and customers for Artscroll Siddurim. We aim to tip the scales and bring redemption to this world, not to make Aish donors. That's why I see all these Kiruv groups as nothing but opportunists and opportunists with a lot of nerve and audacity to boot. They have the gall to complain about Chabad when their only mission in life is to destroy them. That's why I cringe when I read their stuffy Press releases in the papers. I sit and watch otherwise intelligent people, who know their limitations, sit on mentalblog and discuss matters that should be beyond their level of understanding. The same people who know enough in a time of need, when they cannot help themselves, to run to the Rebbe for help and that he be Mispalel for them now try and explain why this and this was done, and why such and such was chosen to run this and that institution. They also claim to know which nationality seemingly befits which position, whether a Russian is good for a Mazkir, and why certain people were chosen over others to come to America. I expect more from people belonging to a Moyach Chassidus like Chabad, these people should know better, especially the Mekushorim. After all, can anybody explain to me why the Rebbe would take an Israeli Yungerman born in Russia, striaght out of Kolel, and send him to Texas to Mekarev Jews? Wouldn't the college-educated Yankee be a better fit? How about a legally blind shloch with a hunchback and scraggly beard and have him build 10 Million dollar buildings one after another? Maybe the geniuses can make hay out of that. Until then let them put a sock in it. You've seen it before, Menachem Friedman telling us how he traced the Rebbe's steps in Berlin and Paris. This is in more detail, including the story of Mendel and Shayne Horenstein, the Rebbetzin's younger sister and BIL. I'm not sure though why this was published now. Ariel's tactics are chronicled in This HaAretz online article. So Friedman shared all his findings about the Rebbe and his formal education, his grades, and his choice of headgear. It seems like when someone's down everybody jumps at his chance to get another kick in while the guy's still down. ATM installed in Kfar Chabad. I guess that's reason to celebrate in a town like that. Imagine having to drive to the next town just to withdraw some cash. Chassidishe Sushi available in Paris! What would we do without it? Rabbi B.M. Ezrachi visits Lithuania last summer (Video.) 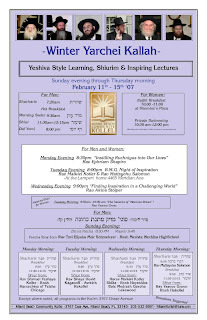 Born and raised in Israel, Rav Meir Chodosh's son-in-law lectures at the Choral Shul in Vilna, in the Chofetz Chaim's Yeshivah in Radin, and in other Litvishe sites of interest. Quite a gifted speaker in the Litvishe style is Rabbi Ezrachi, full of animation, using both hands and face to illustrate his points. The trip was made as a preparation for the Elul Zman in "Ateres," and was attended by both students and alumni of the Yeshivah. 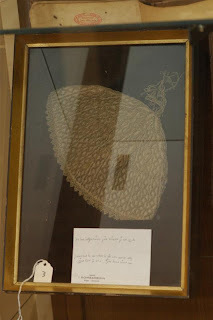 RBME's father was a Talmid of Chevron Yeshivah in Chevron, as was his son. After his father's passing RBME started his own Yeshivah in the tradition of Chevron/Slabodka. Yossi bemoans the frivulous spending that goes on "צווישען היימישע אידן" and brings a speech made by Rav Mordche Gifter z"l in 1980 at the Agudah Convention as his basis. Yossel: Ich bet dir iber tomer hub ich dir getshepet. A great move on both parts. The current Rebbe's father (Reb Meshulem Zushe?) and Zeide must've left Russia years ago, before 1920, so I don't think he remembers a connection to Lubavitch in the old country. Yet, unlike others, he visited all the Lubavitcher Rabbonim in Paris and the Yeshivah in Brunoy. I never noticed the Hadras Ponim he has, it's an Amolige look. I think since Skver Yarshened the Tchernobler lineage, as far as the world is concerned, these 2 Hoyfen have grown far apart. This can be attributed to non-Tchernobler factors, and to the fact that the late Skverrer Rebbe lost his father as a young man. Let's hope this is the beginning of a new Kesher with Tchernobel and the rest of outside world. ------ but made sure his son would! 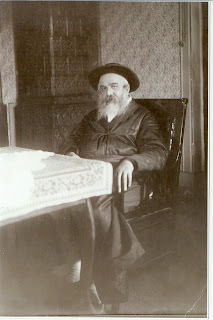 Rabbi Dr. Menachem Mendel Breier, o"h, (Hebrew), son in law of the last Boyaner Rebbe, Reb Mordche Shlomo Friedman, and father of Reb Nochum Dov Breier, current Rebbe of Boyan. Psychologist, Professor of Tanach and Jewish philosophy in Yeshiva University in New York. 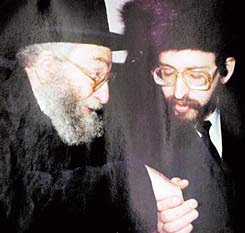 The above article in the secular Haaretz brings several different versions of what happened after Reb Mordche Shlomo of Boyan passed away in 5731, and why Dr. Breier did not accept the leadership of the Boyaner Chassidim. They also made the wrong assumption that RMSF had no sons and hence the lineage was to continue through his daughter and her husband. He did have sons (may they be well), and they too refused to be Rebbes. One version is that it was decided for him - by the powers that be in Boyan - that he would not be worthy of being Rebbe since he was an "academic". The other version - denied by all in Boyan - was that he was asked to take over but said that he wouldn't since he would not relinquish his academic standing. In other words he wanted to continue to study, teach, and lecture in the secular field, something not possible were he to become a Rebbe of Chassidim. Even in Ruzhin. So in Boyan - unlike Stolin - they decided to wait until his son Nochum Dov would be old enough to be Rebbe. At first he went to regular Yeshivos, Ch'san Sofer comes to mind, but then he was pulled and given to Eltere Chassidim to be educated. I read somewhere that he also learned in the Mirrer Yeshivah on Ocean Parkway, maybe to get away from the Chassidishe velt a bit before he was to be totally immersed there later on. Only after he married did he move to Eretz Yisroel and become Rebbe. 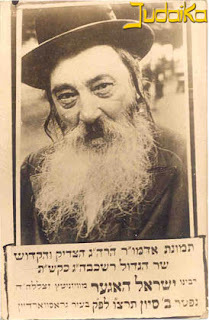 I may even have the first Issue of Ponim Chadoshos that had his picture on the cover after he officially became Rebbe. Dr. Breier was known to be a big Chossid of his son, and was always at his side in recent years. 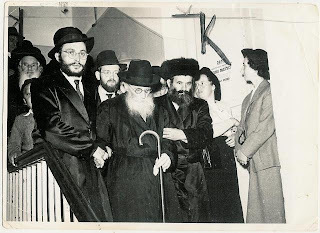 The Boyaner Rebbe would come to America often to visit his parents, coming alone, and walking the streets of Flatbush by himself, a feat unknown in today's Rebbes. The Tzig was often Zoycheh to daven Minchah with him at a Flatbush Shtiebel. The good Doctor suffered from Parkinson's disease r"l and was living in Yerushalayim in recent years. 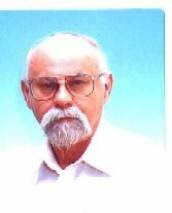 With his passing Boyaner Chassidus suffered a great, irreplacable loss. May we report on only good news in the future, VeNomar Omein! The super seller "Independence-Israel" has an array of historical photos up for auction today at his ebay site. Some are well-known, having been published in books, and some are not. They're all original however, and some are quite pricey. I'm not sure how these prices are decided upon, the difference in opening bids from picture to picture is quite large. As usual we can rely on A Simple Jew to be on the lookout and share his findings with all of us. May G-d bless him and the little town of Sudilkov. I did notice a mistake on one photo, that he had listed as Rav Aryeh Levin. I see it as Rav Shlomo Yosef Zevin, am I right? 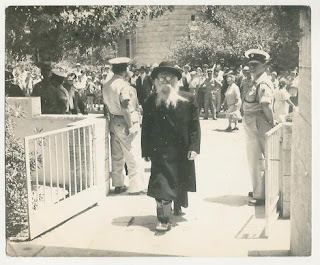 There's also a well-known picture of the Chazon Ish arriving at a wedding in Bnei Brak. If you've read the countless biographies of the CI you'll definitely recognize it. This shot here is of great quality, and none of the books have it this close up. What we can also learn from this shot is that in those days women didn't know enough, or feel, that they had to make themselves scarce when men passed by, even a man of such stature. The CI seems quite uncomfortable. I guess we're much "better" in that regard today, huh? Lastly there's the picture of the meeting of Rabbonim and Rebbes regarding the anti-Shechitah decree that the Polish government implemented in 1936 in the name of "protecting animals." Among those pictured are the late Bobover Rebbe Reb BenZion hy"d and his son Reb Shlomo z"l, Rav Menachem Ziemba hy"d, the Sochatchover Rebbe (hy"d?) and others. I wonder if others were invited too but didn't attend, like the Imrei Emes, the Frierdigere Rebbe, and the Belzer Rebbe. Please help us if you know more about these meetings. A friend of mine, a mechanech in Eretz Yisroel, spoke with me earlier this week. He told me a frightening story: A relative of his is a cheder rebbi, and there is a student in the class (around 8 years old) that committed a very violent act of molestation on a younger (around 5 year old) sibling. 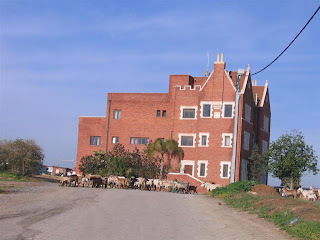 The yeshiva asked one of the foremost – if not the foremost – gedolim in Israel (I guess I shouldn’t say the name) what the yeshiva should do, if anything, as a result. This Gadol told them not to do anything, it’s the only offence, and it was probably a one-time thing. Now I can’t imagine how he could have said that, but my friend told his relative to seek professional help for this child. This behavior is NOT normal behavior, and in all likelihood this 8 year old is himself a victim of molestation and it is imperative that the school get to the bottom of the matter (and my understanding is that that is what is being done). Now, I’m not here to talk about molestation at all, and don’t think I’m jumping on the molestation bandwagon either. The reason that I mention this is really to talk about the unbelievable and unprecedented lack of leadership we have. Our leaders are completely at a loss and out of touch with the common man – in such a complete way that I am very afraid of where we are headed. I do believe that they all mean well, but honestly, do they have any ideas other than the use of their seemingly only weapon – banning? Let’s see… we ban sheitlach, cell phones, internet, working for a living… is this supposed to be working? Perhaps the problem is that our leaders are the metzuyanim. They succeeded in the system, it worked for them, how can they relate to those who didn’t? They have very limited knowledge of the real world life of the man on the street “amcha” Yid or of the problems, struggles and realities that people live with every day. Actually, this may not be entirely new. I think the Litvishe lived this way for quite some time. 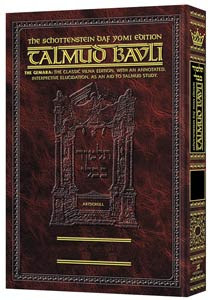 There was a two-tier society – the B’nei Torah in their ivory towers and the hamon am, tzuklapte Yidden. It was the Baal Shem Tov and the Chassidic Rebbes after him that reached out to the masses and led them. And this is probably the #1 reason for Chassidus spreading like wildfire across Europe. So is this all just the return of the Litvishe structure because chassidus has for all intents & purposes stopped serving the people? A Rebbe used to walk the streets and live in the world of the common everyday Jew. He knew people’s cows by name. He knew of their worries, their struggles, their problems, their sins. He understood life in all its glory, and could relate to them. Who is like that today? Chassidic Rebbes grow up with everything handed to them on a silver platter. Do they venture out of their palaces to visit the world of the average Yankel struggling to get by? 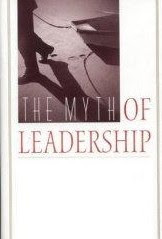 Where are the leaders that have experienced life as you or I? Who can relate to the common Jew? I do not like that Snag I am! I do not like them, Snag I am. Would you like them in a shtibel? Would you read them oifen bank? Would you read them when you're kraynk? I would not read them here or there. I would not read them anywhere. Would you? Could you? On Purim Nacht? Read them! Read them! Here they are. I would, could not, on Purim Nacht. You may like. You will see. You may like them with a smoke! I would not, could not on Purim Nacht. Not with a smoke! You let me be! Could you, would you, oifen country! Not on Purim Nacht! Not with a tzigaretel box! Not in country! Snag! Loz mir up! I will not read them here or there. I will not read them anywhere. S'teitch! At at tish! Here at a tish! Would you, could you, at a tish? I would not, could not, at a tish. Would you, could you, in Uman? 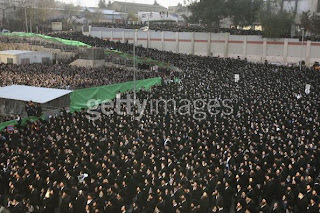 I would not, could not, in Uman. Not in a shtibel. Not with a shtreimel. Not oifen bank. Not when I'm kraynk. Not on Purim Nacht. Not with a tzigaretel box. You do not like Hirsh Tzig and hmmm? Could you, would you, with a shnapps? I would not, could not, with a shnapps! Would you, could you, on the beach? I will not read them at a tish. Not on Purim Nacht! Not mit a tzigaretel box! Not oifen country! You let me be! You do not like. So you say. Snag! If you will let me be, I will try them. You will see. I like Hirsh Tzig and hmmm! I do! I like them, Snag I am! And I wll read them on the train. And in the mivtzo'im booth. And on the street. So I will read them in the shtibel. Thank you! Thank you, Snag I am! Notice the letter written to endorse the campaign to free JP. Why did the Agudath Israel suddenly remember about him? If he was an "item" why wait 22 years to start campaigning? I suspect a נדבה על תנאי here, some rich guy is forcing their hand here. Then again they're not the official sponsor here, the Young Israel is. I detect a conspiracy here. It's no coincidence that Artscroll put only 12 pages, till we get to today's situation, online. It'll be very interesting to see how they handle the conflict there. Did Paysach Krohn officially inherit the title Maggid from Reb Sholom Shwadron? Was there a will to that effect? Have you ever seen a Maggid without a beard? Did they travel to the Chasidishe sites in Lithuania and Belarus? places like Slonim, Stolin, Pinsk and other centers? I wonder. All this talk about Novardok and its failure to re-establish itself after WWII neither in the US nor in Israel has gotten some of us to think that maybe the study of Mussar has seen better days. Maybe the Salanter's dream was only for a short period of time, when Jews were falling by the wayside and needed to be strengthened in character? Maybe today, when Torah study is abundant, and even full-time study has become the norm, maybe we don't need character refinement anymore. Well, according to one Rabbi nothing can be further from the truth. A quick glance at the morning newspaper can bring even the most naive among us back to reality. Rabbi Ira Stone thinks it's time for Jews to reinvest in Mussar, and where better than Philadelphia, home of the Talmudical Academy of. Jack Abramoff and the constant flow of scandal tells us all that it's time we dust off the Mesilas Yeshorim and do some soul searching. He's been teaching Mussar for ten years now, mixing Luzzato, Emmanuel Levinas, and various books by Mesorah/Artscroll. I say more power to him, the world needs it, especially when caring for animals can now be incorporated into Mussar too! We also learn that Luzzato had another side to him, namely that which author Isaiah Tishby calls the "Messianic Mysticism of Moses Chaim Luzzatto." It also helps deflect the criticism that Chassidus and Kaballah take due to the fact that Berg and others have hijacked it. So take heed, o' Mussarites, a new dawn has arrived! "A historical view of Judaism shows that they were not the first. Rav Hirsch made Kiruv an "official" part of his agenda as he was involved in engaging the non-frum, same for Rav Salanter and Rav Kook and Rav Sonnenfeld." You don't seem to get it. Rav SR Hirsch made this his agenda by means of polemics and other writings, not by going out to be Mekarev people. He hoped that his writings (!!!) would be sufficient to persuade others. This has been done throughout the ages,as I mentioned re R' Saadiah Gaon, R' Yehudah Halevi, Rambam etc. etc. with their writings. The "lecture-tours" of Rabbis Salanter, Kuk, Sonnenfeld etc. were just that, hoping to bring a "hisorerus", but again not dealing with people directly. One who can be said to deal with people directly was the mediaeval (!) 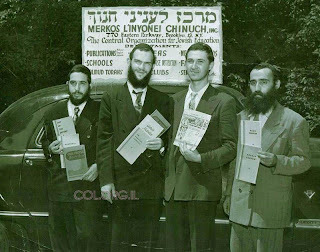 R. Mosheh of Kutzi, author of Sefer Mitzvos Godol (Sma"g), who was the innovator of mivtza tefillin, to put on tefillin with people (as he writes in his intro). As for R. Yossef Yoisel of Nevardok, yes, indeed, he made a wide and succesful campaign to found talmud-torahs/yeshivos in Russia during the first world war, and sending his students all around to bring children into them - more often than not without their parents' consent. But this can be said to have been done already earlier by the Rebbe Reshab among the Sefardim, sending his shluchim there. I have no doubt that others did the same still earlier,in various places and various times throughout the ages. As I said earlier, every truly religious Jew who takes seriously the Kol Yisroel areivim etc. etc. would feel compelled to do whatever he can in this regard, so that we cannot talk re who was first etc. 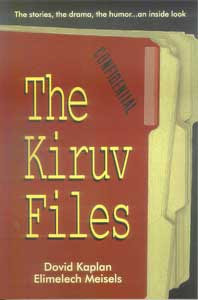 The kiruv-work as an organizationl effort, dealing with people directly, families and individuals, part of an official program going out into the streets, campuses, groups, homes etc. - as we know it today - was most definitely an innovation of Lubavitch. Again, as stated, it was officially opposed by pretty much the full span of the orthodox establishment (roshei yeshivos) for the reasons mentioned, until they saw the success (and some would argue nowadays - once they had augmented and fortified their own circle and felt safe). And even now, there remains a vital distinction: to this day, none, I repeat NONE, goes to places, towns etc., where they would have to do the ground-work to establish a base for religious life. They move only into towns where these are existing already, more often than not founded by Chabad. Aish Hatorah is notorious for not going even into places like that unless they see first a solid basis for financial sustenance, to raise local funds not only for their local institution but also beyond that for their "headquarters." I challenge anyone to name a single presence of Aish that does not fall into this category. Dovid says "Also Lubavitch targeted frum Poylishe Chasidim, with their Lithuanian style Yeshiva." I don't deny that, but the same applies to the other Yeshivos, including Nevardok before they started their network of talmud-torahs for others. R. Yossef Yoisel made it an essential part of his agenda to infiltrate existing yeshivos to establish there his derech in mussar. For details see the excellent history of the Mussar-movement "Tenu'as Hamussar." So we are back to square one, the blatant attempt at revisionism, with irrelevant arguments about earlier generations. 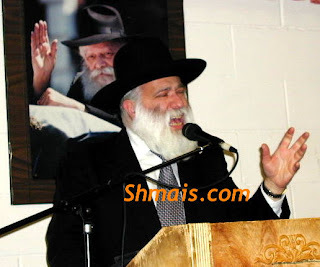 At a Bar Mitzvah last night the Melitzer Rebbe of Ashdod, Rebbe of Lazer Brody, spoke. I enjoyed his Reid, especially the following Vort. I'm not sure he meant this as the thrust of his speech but my mind is tuned to understand it as such. This is the effect of Lubavitch. The holy Ahavas Yisroel of Vizhnitz, when a Yingel would come to him for Hanochas Tefillin, would only put on the Shel Rosh, leaving the Shel Yad for the child's father instead. His reasoning was as follows: The Shel Yad symbolizes Ma'aseh, the physical acts of Mitzvos, and the responsibility lies with the father to wake him in the morning for davenen, and to act in a Jewish manner. Hence the father puts on the Shel Yad. The Shel Rosh is K'neged the Ma'asei HaRosh, the Machshovoh mainly, that the child's thoughts should be as they need to be, and that he thinks of the Aibershter when going about his daily life. This is where the Tzaddik comes in. "Dort ken men epes machen," said Reb Yisroel. The Tzaddik is Mashpia Machshoves Tovos. 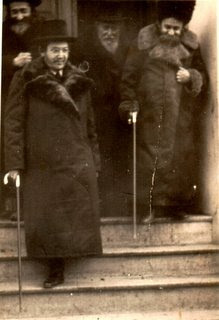 r-l: Rabbi Dovid Raskin, ?, Reb Eli Gross o"h, and יבלחט"א Reb Shua Wilansky. While Noah Weinberg was still eating Kit-Kats and playing baseball in Baltimore these young men spent their summers traveling the states and bringing Yiddishkeit to far-flung places. I hope you'll remember this the next time you see some feel-good article about Aish naming him some kind of pioneer. That's akin to calling Abe Lincoln one of the founding fathers, but gives NW way too much credit too. Why's he called Noah anyway? What's wrong with Noach?